Have you always wanted to learn to play the piano? Did you study piano before, and wish to start again? It's not too late! Private lessons for adults are available in 45-minute weekly sessions during regular school hours (typically no earlier than 10:00 a.m., through mid-afternoon). For late afternoon and evening lessons, please contact me for rates and policies. Lessons are available for adults, including beginners through advanced levels. 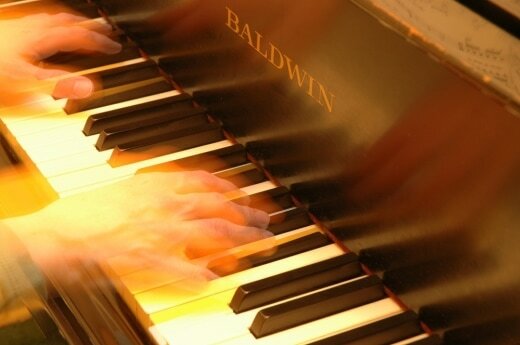 Curriculum is based on the individual student's interests, goals, and abilities, and will include instruction on piano technique and music notation. Whereas I expect my school-age students to participate in recitals, festivals, competitions, and auditions, I make no such requirements for adult students. HOWEVER, you are welcome to participate in any and all performance opportunities that are available. I offer 'a la carte' lesson fees for adults. Lessons are $42 per 45-minute lesson, and are payable in advance, in blocks of four lessons. You may cancel a lesson and have the fees credited to your next lesson, as long as you notify me in advance (same day is fine). I understand the need for schedule flexibility for busy adults, but I only offer this liberal cancellation policy during regular school hours.